Thanksgiving: Sarah Hale, William Bradford, Squanto, Wampamoag, Pilgrims, The Mayflower, The First Thanksgiving, Timelines, and so much more! This packet is two units in one! This packet has been on the Top 100 best selling items list! I have ADDED: more tree focus maps to choose! 2 Freebies in the Download Preview!!! 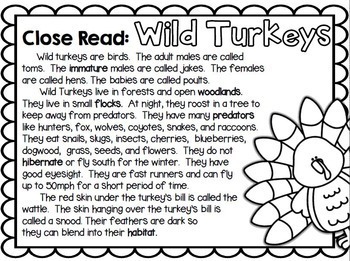 Are you ready to learn about Turkeys and Thanksgiving?! This is a great informational text (non-fiction) unit!!!! This unit is filled with tons of writing activities for learning information about turkeys and Thanksgiving! Great for 1st Graders and 2nd Graders!!! 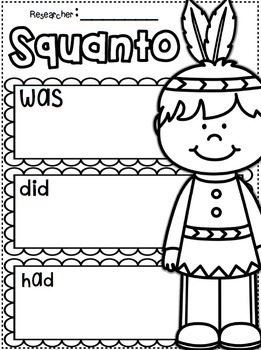 Could be used for higher kindergarteners. This packet has OVER 145 pages of Turkey and Thanksgiving FUN! -Informational Text: read about the 1st Thanksgiving and answer the questions. "The Common Core Standards were developed and written by the NGA. Any claims of correlation or alignment to the CCSS are solely those of 1st Grade is WienerFUL and have not been evaluated by CCSS.